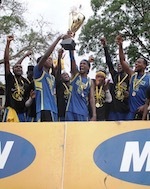 Ghana's position in the FIBA 3X3 standings has improved following its exploits at the recently ended FIBA Africa 3x3 Zone 3 Championship held in Cotonou, Benin from August 16-17. The West African nation is presently ranked 94th in the world and 13th in Africa in the aftermath of its performances in the just concluded regional championship. 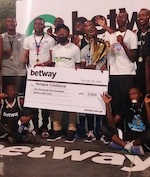 The competition had a fleet of West African nations compete for the chance to secure a ticket to the continental tournament due to be played in Lome, Togo from November 9-11. Ghana's Male side failed to qualify after falling 11-18 to Mali, 16-19 to Gambia and 19-21 to Mauritania but managed an 18-9 win over Ivory Coast to end the tournament without recording a win. Ivory Coast and Mali qualified from the group. In the Female Division, Ghana scored a vital win after falling 4-14 to Nigeria and 7-20 to Mali to secure a ticket in Togo later this year. Nigeria, Benin, Ivory Coast and Mali join Ghana from Zone 3 in the continental tournament. West African countries dominate the field in both divisions for the upcoming competition in Togo with the likes of Uganda, Mauritania and Egypt making the cut. Nigeria and Uganda recently represented Africa in the Male and Female Divisions respectively at the World Cup held earlier this year. Serbia and Italy were crowned champions.